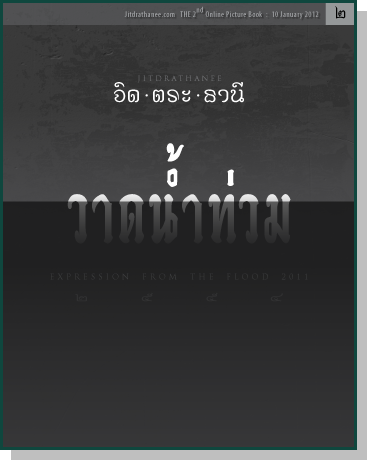 JitdraThanee's 2nd Online Picture Book : Expression from the Flood 2011. Title : Jitdrathanee : Expression from the Flood 2011. Size / Details : 12 x 9.5 inches / Colour / High resolution PDF / 20 pages.